How To Make Apple Cider Bath…A Bubble Bath With Fall Smells! Watch this Video to learn How To Make Apple Cider Bath…A Bubble Bath With Fall Smells! It’s fall ya’ll and it’s time to make all things pumpkin and apple. 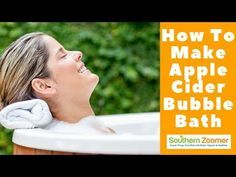 In this video I’m going to share with you How To Make Apple Cider Bubble Bath. Just a few simple ingredients will bring fall into your healthy shower and bath routines. If your coconut oil is solid, heat until it’s liquid. Mix the coconut oil together with the apple cider soap. Add your coconut oil and apple cider soap to water and mix. Lastly, pour your bubble bath into a glass bottle. To use, simply pour under warm running water in your bathtub and enjoy! Reduces Oily Hair and Dandruff. Fights Fungus and Yeast Infections. Helps Balance your Skin’s pH Levels. Fights Athlete’s Foot and Foot Odor. For more DIY recipes, subscribe to our YouTube Channel and click the bell notification icon so you’ll be one of the first to know when we upload more DIY Videos. In this Video I’m going to share with you How To Make Calendula Coconut Oil. Coconut oil has thousands of uses. It’s high in antioxidants, making it wonderful for both cooking and in skin care. Calendula flowers have amazing skin care properties. The flowers are antiseptic, antibacterial, and help to heal minor abrasions and wounds. They also calm inflamed skin, including the skin of both eczema and psoriasis sufferers.. Many choose to infuse calendula in oil. This way, the oil absorbs the wonderful benefits and properties of the calendula. It makes it easy to apply, and to include in skin care products like soaps, balms, and more. Infusing calendula coconut oil is much easier than you may think. However, doing it the right way will take about 6 weeks! We promise it is worth the wait, because this infused oil will last a very long time, and has many benefits to enjoy. To make it, fill a standard mason glass jar up 3/4 of the way with dry calendula flowers. Separately, use a double boiler on the lowest heat setting to melt about two 1/2 cups of Virgin Coconut Oil. Fill the jar with the coconut oil. Now comes the longest part. Replace the lid and keep it sealed, but stir the mixture once every three days. In six weeks, your concoction will be ready! Simply strain out the flowers, and keep the infused oil in the same glass jar. If you would like an extra skin-calming body butter, use a coconut oil body butter recipe. Replace the coconut oil ingredient with your calendula coconut oil, and follow all of the same instructions. Alternatively, you can use the oil all on its own. If you have a minor scrape or bruise, you can rub on a small amount of the oil for a quicker recovery. Take a small amount in your hands, and apply to areas with irritated or inflamed skin. This truly is a versatile skin care creation, so play with it and make as many creations as you want! How do you use calendula coconut oil? Let us know by commenting below. Subscribe To Our YouTube Channel. Click the Bell Notification Icon to be notified when we upload new videos about Natural Products. How To Make Natural Bug Spray With Essential Oils That Works! In this video I’m going to share with you How To Make Natural Bug Spray With Essential Oils That Works! If you’re anything like me then chances are you can’t wait to get outside during this time of year. Whether it’s for picnics, sporting events, yard work or relaxing on your patio or deck with friends and family. Chances are, especially if you live in the south, you’ve seen a bug or two already. Instead of reaching for the commercial bug spray go ahead and mix up this simple do it yourself bug spray. 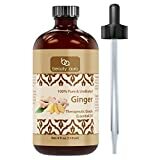 Different oils repel different bugs so we’ll be using a combination of essential oils to ward off several types of insects that can deliver a ferocious bite. 27 drops Eucalyptus Essential Oil. Shake the bottle well and before each use. Apply this Natural Bug Spray every couple of hours for maximum effectiveness. 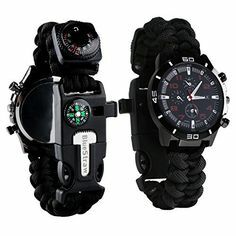 Don’t let the fear of being bitten by insects keep you inside this season. Grab these essential oils and make a Natural Bug Spray that really works! The season of flowers, showers, and warmer weather is finally here! I’m talking about Spring, and could not be more excited about it. Skincare needs change with the weather and seasons, and we have some Spring skincare must haves to stock up on starting now. Skin is a little less dry, and cool winds are not affecting our lips as much as previous months. This is great, but we still need to treat current skincare issues as well as prevent potential problems. Moisture is important whether you’re in the dead of Winter, or a hot as heck Summer. It’s time to think about even more sun protection (You were doing that during Winter too-right?) and that means sunscreen! Don’t worry, there is an all natural version you can make yourself. It has wonderful skincare goodness in it. Let’s review your Spring Skincare Must Haves! Lip Balm is essential for all sorts of weather, and every season. Winter may dry them out, but Summer can take it’s toll as well. The sun can damage lips, so proper moisture application is key. Coconut oil based lip gloss is great! It protects and seals in moisture. Sun protection is year round, and now is the time to get serious about it. Sunscreen lotion bars with coconut oil, shea butter, and zinc oxide powder are ultra moisturizing while protecting at the same time. This is essential, because faces become more oily as the weather heats up. Make sure you use a gentle, DIY formula including lavender oil, the most gentle of essential oils. It’s important to exfoliate now that it is Spring. Over Winter months, you probably built up some dead skin. Sweat doesn’t help either, so make sure to exfoliate regularly. A good DIY sugar scrub needs to be kept on hand! What’s on your list of Spring Skincare Must Haves? Easter is just around the corner! 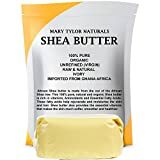 Every holiday is a new opportunity to make some really fun and unique skincare products. Today, we are making some DIY easter egg bath bombs – they’re super easy, too. Bath bombs have ingredients that exfoliate, moisturize, and soothe skin. That is of course, if you use all natural ingredients with wonderful skincare properties! Epsom salts, baking soda, and citric acid exfoliate and draw out toxins, while almond oil and lavender soothe and moisturize. Are you ready for an awesome DIY recipe? Here it is! Mix all dry ingredients very well, and next mix in your almond oil. Fully incorporate the almond oil before moving on. Then, add in the essential oil and incorporate fully. Add in your food coloring, but make sure you mix very quickly. It does cause a slight fizzing reaction, so this is why it needs to be done fairly fast. The consistency should now be that of wet sand, but not over-saturated. You should be able to use your hands to push it together and have it stick. Over-fill two sides of a plastic Easter egg, and then press together firmly. Excess will come out of the sides, so simply push that away. Very gently twist off the Easter egg halves and lay the bath bomb on a towel. If it crumbles, add another tablespoon of oil to your mixture and incorporate, then try again. Once you have your Easter egg bath bombs ready, let them dry on a towel or paper towel for a couple of days. Voila! You now have some awesome DIY Easter Egg Bath Bombs to use whenever you’d like. Store them in a cool, dry place before use. Coconut oil is full of healthy fats, the good cholesterol, and many other healthy properties. There is a ton of evidence supporting that consuming coconut oil daily can be beneficial for your health. Smoothies have a few different elements to them. Normally, this includes fruit, ice, a liquid, and any supplements you add. I can’t think of a more delicious way to get my daily dose of coconut oil! Not only do smoothies allow you to consume the nutrients from each fruit and ingredient, but it is highly customizable to your own taste. We have some of the best coconut oil smoothie recipes to try at home. They’re super easy to make! We highly recommend using a high power, high quality blender such as a Ninja. With a quality blender, you don’t have to worry about blades dulling early, or getting stuck on some ice. Without further ado, here are the best coconut oil smoothie recipes for you to enjoy! These smoothies are not only healthy – they’re super delicious! You can replace the fruit with whatever your favorite fruits are. You can easily enjoy your daily dose of coconut oil, and include some yummy, healthy ingredients that are full of vitamins, fiber, and other helpful elements. What’s your favorite coconut oil smoothie? Let us know your favorite recipe in the comments! Aloe Vera Gel is known for its antibacterial, anti-inflammatory, and cooling properties. It’s a fantastic ingredient for skin care recipes, especially if you have redness or inflammation. People put aloe vera gel on minor abrasions quite often, and even take it internally for stomach soothing benefits. Personally, I like it for the cooling and hydrating effect it has on skin! Coconut oil mixes wonderfully with aloe vera gel to tackle all sorts of skin care issues. To make an ultra hydrating aloe face cream, you need ingredients that are all natural and high quality. For face creams especially, gentle ingredients are a must. If you have a slight sun burn then this hydrating aloe face cream can provide a bit of relief and moisture. Aloe vera gel is considered a natural burn relieving ingredient. We love all of the wonderful properties it has to offer! This particular recipe works best when you keep it in the fridge and scoop a small amount out by hand before applying. Hello, moisture! Put your coconut oil, almond oil, and beeswax pastilles in a double boiler on low-medium heat. Mix well after it is fully liquid. Remove from heat and let cool for two hours in room temperature, or an hour in the fridge. Slowly incorporate the aloe vera gel using a hand mixer after everything is cool. Add several drops at a time of your lavender, and mix again. Transfer into your container. You can store this in room temperature, but we highly recommend using the fridge. Because of the aloe vera gel, this recipe will last about 2-3 months, give or take. Make sure you keep it sealed and cool. Enjoy! We all know the benefits of eating coconut oil by now. 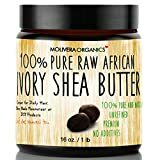 It has good fats that the body loves, and it’s a REAL food! No preservatives here, no way. It’s delicious, and you can even mix it with coffee for a sweet flavoring sans the creamer and sugar. If you are struggling to find new ways to include coconut oil in your diet, these very berry coconut fat bombs will do the trick. Not only are they healthy, but they are delicious and all natural. It does not matter if your family prefers sweets and cake, they will still love this little treat! Isn’t it great when you can call something super healthy and filled with antioxidants a treat!? We think so. Enjoy this recipe, and make as much as you want. You can store extras in the freezer to enjoy later on. Use a double boiler on low heat to melt the coconut oil. At the same time, set your packaged berries out on the counter so they can slightly thaw. When the oil is fully melted, use a food processor to process the berries. Remove the oil from the heat, and add in your berries while stirring. Fully incorporate the berries, and then pour your mixture very carefully into the molds. Set the molds in the freezer for about two hours, and then pop them out carefully. You can eat one at a time, or even grab a second or third! You can use whichever kind of frozen berries you like. You can even use fresh berries, it just needs some extra time in the freezer. Enjoy your very berry coconut fat bombs! Pucker up! It’s Valentine’s Day, and we are so excited to bring you this recipe! It’s a super easy three ingredient sweetheart lip balm and it’s pretty self explanatory. You can literally make this in the next few minutes and be prepared for a Valentine’s Day kiss. Get ready for soft, smooth, and pink lips! Ingredients like coconut oil nourish lips while providing a base for other ingredients. 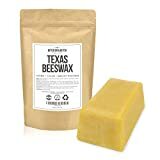 Beeswax protects lips and keeps the balm on your lips. Mica powder adds a beautiful pink hue of color just for the day. We like to call it a sweetheart lip balm because it’s absolutely perfect for pink, supple Valentine’s Day lips. Get those kissers ready, ladies! Using a double boiler on low heat, melt together your beeswax pastilles and virgin coconut oil. Once it is fully liquid, remove from the heat and add in your mica powder. Mix well, and set out in room temperature for about half an hour. Once again, mix well. Now, transfer the mixture to your cute tin containers. Stick a cute sticker on each one. Now, you have a three ingredient sweetheart lip balm which makes your lips shine! Your lips will ‘thank youuu’ for these natural ingredients to be put on them. You may even get some compliments, the color is so pretty! Get out there and have a crunchy, DIY Valentine’s Day! We love this shade of pink mica powder, however you can use whichever color you’d like, as long as it is cosmetic grade and approved for use on lips. What color are you using in yours? Let us know in the comments section below! 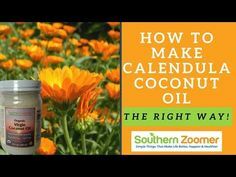 In this Video I'm going to share with you How To Make Calendula Coconut Oil.Coconut oil has thousands of uses. Calendula flowers have amazing skin care properties. Spend $50 or More and Receive a Free 5-Night Vacation Package!